Knowmad founder Jordan Harvey was recently honored by Travel + Leisure as the world’s leading travel planner for Chile and Argentina highlighting that he’s excited about Awasi Patagonia Lodge in Chile the most recent addition to the Patagonia luxury lodge category. Here’s what he said when asked why. 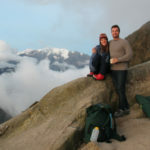 What makes Awasi Patagonia Lodge special? 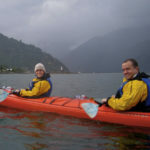 As the Patagonia is so stunning and wonderful for active excursions, many people pass over or do not think about the cultural aspect of the region. The gaucho tradition is alive and more fascinating than ever, but is not as predominant inside the Torres del Paine National Park boundaries; rather more on the periphery and beyond. To me this is what makes Awasi Patagonia Lodge so special and that is why I love this property. Awasi Patagonia boasts exclusive excursions offering deep interaction with working gauchos on their property as it lies just outside of the park boundary and they showcase the history of ranching in this area prior to the age of “point and shoot” tourism. I want travelers to have all encompassing and well-rounded experiences, not just an album of “coffee table book” highlights after a trip. 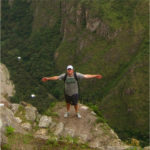 List a few other reasons you are excited about Awasi Patagonia Lodge in Chile. Federico Zigler, the head chef, is one of the most energetic and proud chefs I’ve experienced anywhere. Apart from his amazing creations, he takes time at each meal to speak with guests and get their input and feedback. With only twelve villas and the only lodge in Torres del Paine to offer completely private guiding and vehicles for a 100% custom trip, Awasi is the best fit for those seeking the highest level of privacy and intimacy. Awasi’s remoteness gives access to some beautiful off-the-beaten path hikes as well as an abundance of wildlife. 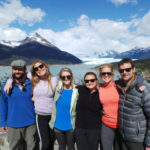 Guests will feel like Patagonia is theirs and only theirs to experience, something increasingly rare in Torres del Paine. Awasi Patagonia is the most recent addition to the luxury adventure lodges in Torres del Paine National Park in Chile. It’s not just the newest, but also the hottest and most exclusive property in the park and in all of Patagonia. 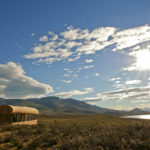 The key differentiator from the other lodges in Patagonia is that guests have their own private guide and vehicle for the duration of their stay offering total flexibility and privacy. True to form, Awasi Patagonia is extremely intimate with just 12 villas. 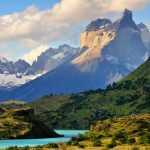 Their location is right outside of Torres del Paine National Park’s eastern border in a private reserve that offers stunning views and tends to have more wildlife. Their location also makes possible unique excursions to off-the-beaten path areas such as the Sierra Baguales’ Mountains, an area littered with fossils and herds of guanacos running free as gauchos go about their daily business by horseback. 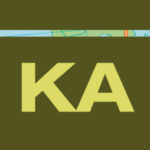 Knowmad guarantees best pricing at Awasi! Type Flexible Date Private Departures with entry dates available every five days. You choose the date, your travel companions and one of our adventures. 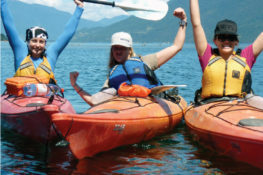 Light, Moderate, or Vigorous Trip Activities are flexible and can include hiking, photography, horseback riding, cultural opportunities, and spa. Begin/End Generally Punta Arenas, Chile and/or Calafate, Argentina. Some flights for Puerto Natales exist during certain times of year. If privacy and intimacy are paramount for your ideal Patagonia and Torres del Paine National Park trip, then Awasi Patagonia is the ideal choice. 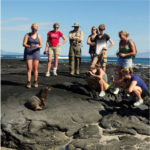 Knowmad is the world-leader in high-quality, custom-designed private trips in Chile, Argentina, Patagonia, and greater South America. To build your ideal luxury Chile and Argentina itinerary and book a stay at Awasi, contact us today. For more information about Awasi Patagonia Lodge in Chile be sure to check out the full lodge overview on our website, that includes a list of all the excursions offered at the lodge, accommodation information and more.